The 19th century had been a period of rapid industrial expansion in America. Between 1800 and 1900 the per capita wealth of the country had increased from $200 to $1,200. However, the distribution of this wealth was extremely uneven. It was this economic situation that stimulated a growth in socialist ideas in the United States. In 1874 a group of socialists led by Friedrich Sorge formed the Workingmen's Party. 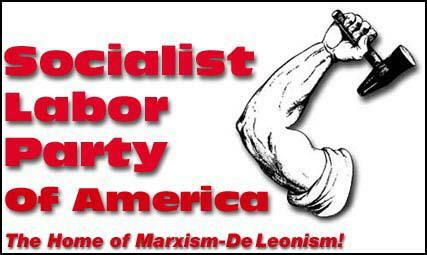 Three years later it was renamed the Socialist Labor Party. Some members of the party came under the influence of the anarchist ideas of the German revolutionary, Johann Most. In 1891 the SLP established its journal The People. Daniel De Leon, Laurence Gronlund, Morris Hillquit and Abraham Cahan emerged as leaders of the SLP. De Leon wrote the SLP's first program that included the breakup of the state, workers' democracy, the seizure of social power by the organized producers and the socialist reorganization of the economy. In 1892 Simon Wing ran for President, with Charles H. Matchett as Vice President. They received 21,173 votes. In 1896 the SLP's vote increased to 36,367 and in 1898 reached a peak of 82,204. At that time the party had 10,000 members. This included Meyer London. In the 1900 presidential election the Socialist Labor Party candidates received only 33,382. The other major left-wing party, the Social Democratic Party (SDP), led by Eugene Debs and Victor Berger, did better winning 97,000 votes. SLP presidential candidates won 33,510 votes in 1904, 14,029 in 1908 and 29,213 in 1912. 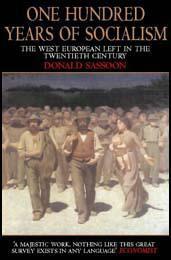 (1) When Daniel De Leon became editor of The People in 1891 he explained the functions of a socialist newspaper. (7) William Haywood wrote about Daniel De Leon and the Socialist Labor Party in his his autobiography published in 1929. The most revolutionary thing about the recent Labor Party Convention at Chicago was its decision to appoint a National Executive Committee composed of two members from each state, one man and one woman. To force women to take an equal share in the actual business of building up the executive machine, - it's never been heard of before in the history of the world, not in trades-unions, not in co-operatives, not in Socialist parties, not in Utopias. It means more for feminism than a million resolutions. For after all these centuries of retirement women need more than an "equal opportunity" to show what's in them. They need a generous shove into positions of responsibility. And that is what the Labor Party has given them. It is proof that there is some very honest idealism among the thousand delegates who gathered at Chicago.